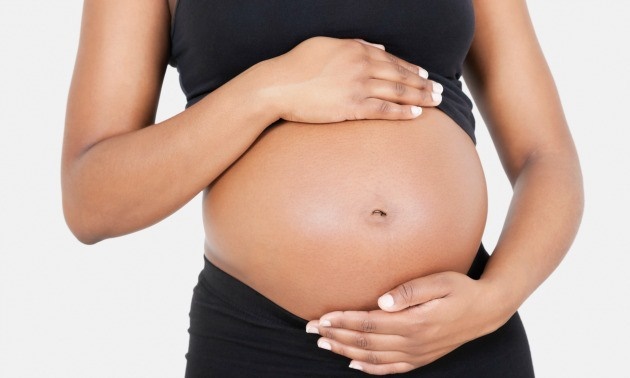 A pregnant black woman - (Google Photo). Audrey Pack in partnership with telecoms giant, MTN Nigeria are using mobile technology to empower more than 3 million women with information they need to keep themselves safe during pregnancy and protect their babies after birth. Is your wife pregnant or considering getting pregnant? Pregnancy is a very dangerous stage of a woman’s life as it makes her even more vulnerable. As a matter of fact, Nigeria has the highest number of woman dying of pregnancy related cases in the world with 145 of them dying every day. Their babies are not left out, as according to UNICEF, estimated 2,300 babies and children below 5 years die every day in this country. This is why you need to do everything you can to protect your woman and unborn baby. Well, information makes all the difference. And that is where technology comes handy to provide the relevant information that the baby and the mama need to stay healthy until the end of the cycle and afterwards. A firm called the Audrey Pack is carrying this key responsibility on its head through mobile technology. According to the CEO/Founder of Audrey Pack, Lialian Odim, the company in partnership with telecoms giant, MTN Nigeria are using mobile technology to empower more than 3 million women with information they need to keep themselves safe during pregnancy and protect their babies after birth. To make sure the women understand and utilize the information, messages are composed and disseminated in local languages. Do not be caught off guard, give Audrey pack a trial to save your woman.